The firepower of the Class of 2002/04 was too much for the younger Class of 2011/12 in the 2018 FD Alumni Basketball Tournament championship game. Willie Stinnett, Sean Perez, Jimmie Yi and company simply outclassed their younger foes as they cruised to victory. Perez led all scorers with 21 points while Stinnett added 14. Glenn Gogue was the lead man for 2011/12 with 12 points, all coming from downtown. In the first of its kind called the Gold Division, the Class of 1991 prevailed with an impressive 42-34 win over the combined classes of 1990/92/93/94/95. 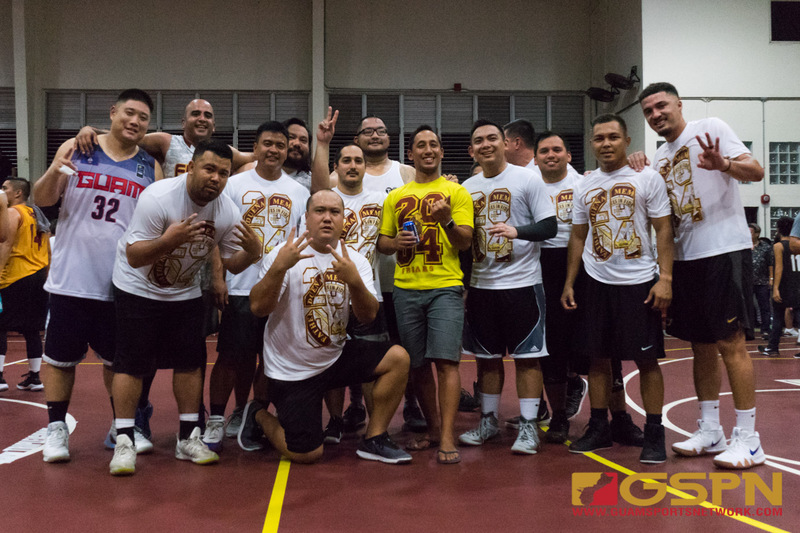 Dominic Cruz, John Aguon, John Blas and John Patricio were instrumental in the journey to the title with the strong support coming from Norbert Mendiola, Jason Cruz, Brian Leon Guerrero and Rey Acierto. The Class of ’91 is also the only class to ever win the FD Songfest all four years!